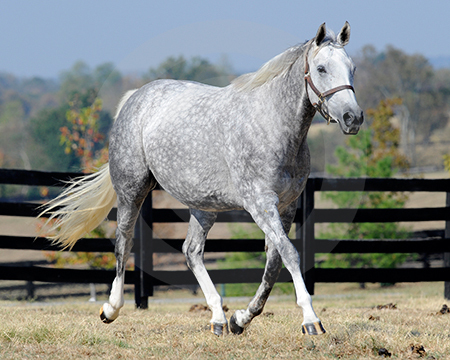 Dappled out and lighter in color from her racing days, millionaire Octave resides at Darley’s Gainsborough Farm near Versailles, Ky.
Below, Octave at Keeneland in 2007. Photos below, Octave at Darley's Gainsborough Farm in September 2010. 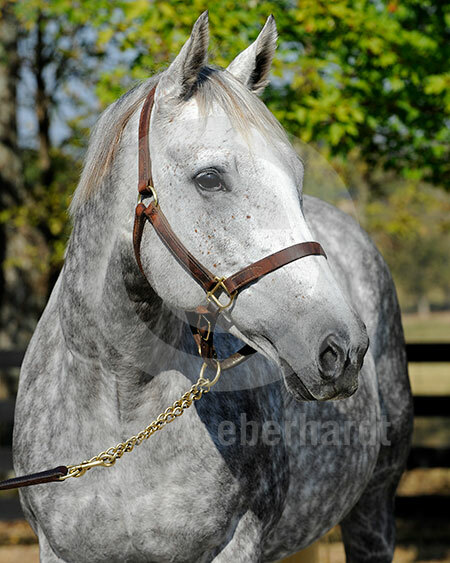 The gray millionaire daughter of Unbridled's Song--Belle Nuit (by Dr. Carter) was purchased as a 3-year-old for $4 million by John Ferguson on behalf of Shaikh Mohammed’s Darley in 2007 at the Fasig-Tipton Kentucky November mixed sale. 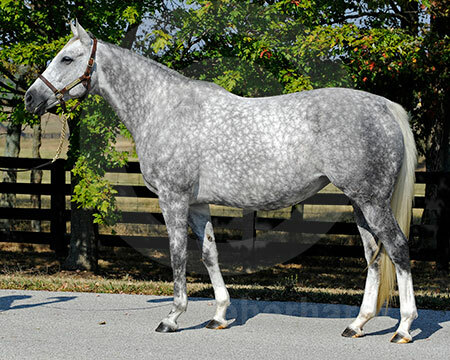 Octave was bred by Mr. and Mrs. Martin Wygod. Octave has a 2010 weanling colt by A.P. Indy and she is in foal to Bernardini. 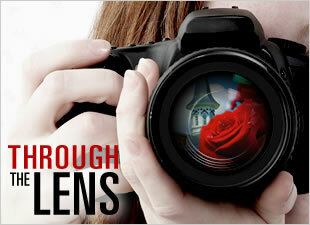 View More Photos of Octave at The Blood-Horse Photo Store.